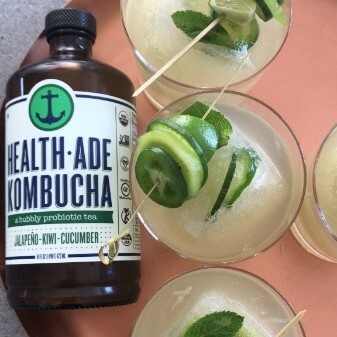 Summer #FollowYourGut Fun with Health-Ade Kombucha! 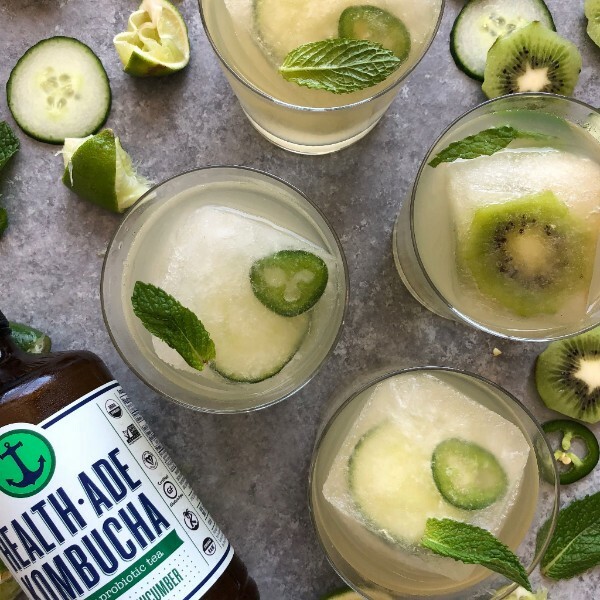 We partnered with Health-Ade Kombucha this summer to celebrate the launch of their refreshing, new Jalapeño-Kiwi-Cucumber flavor, AKA your new #SummerSideKick! For some background, we work in the heart of Bushwick, Brooklyn, which doesn't get much of a breeze (understatement of the year!). Plus, on a standard work day, we might be baking a few dozen pretzels, testing a new pie recipe or working on a new pasta technique. In other words, it gets HOT. 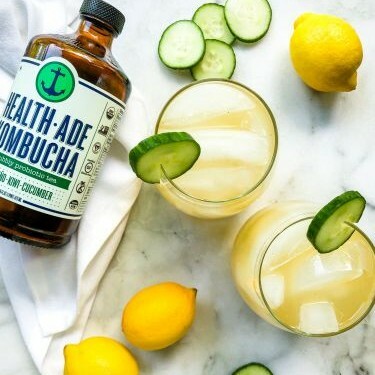 Enter Health-Ade Kombucha and an instant reset, refresh and moment of zen. 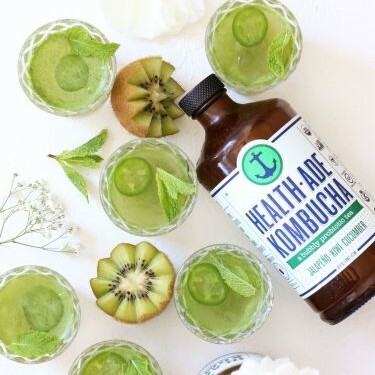 The new Jalapeño-Kiwi-Cucumber flavor is slightly spicy, slightly sweet and has the perfect hit of fizz to quench your thirst. Bonus points if you slug the whole thing down directly in front of the AC. 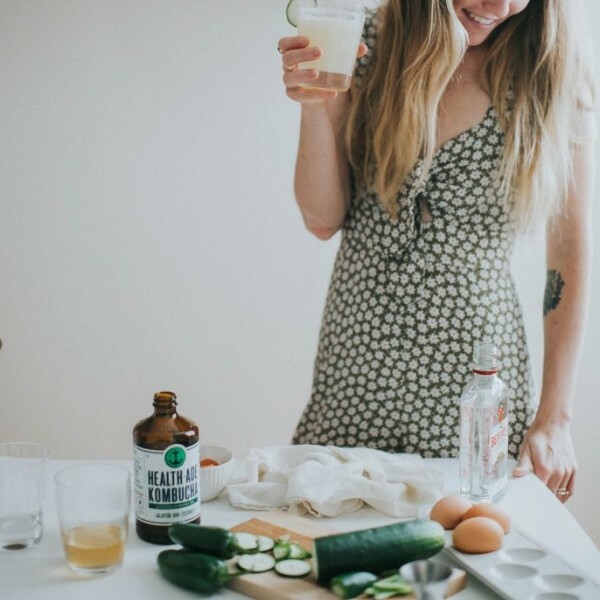 Want to make a batch of these tequila gimlets at home? 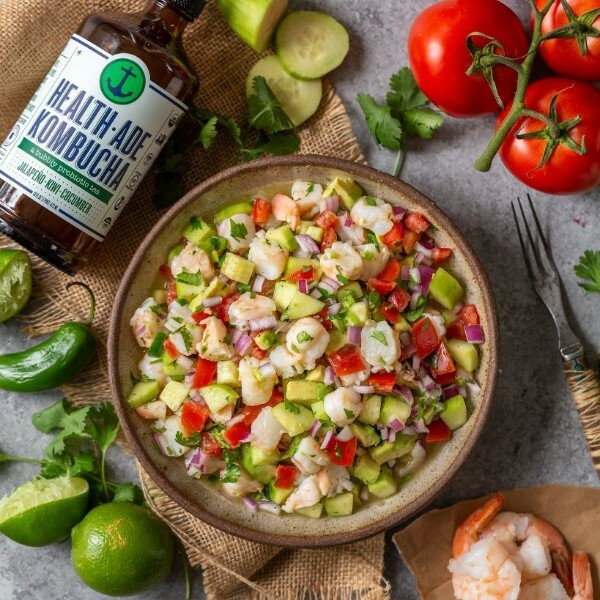 Here's the quick & easy recipe! 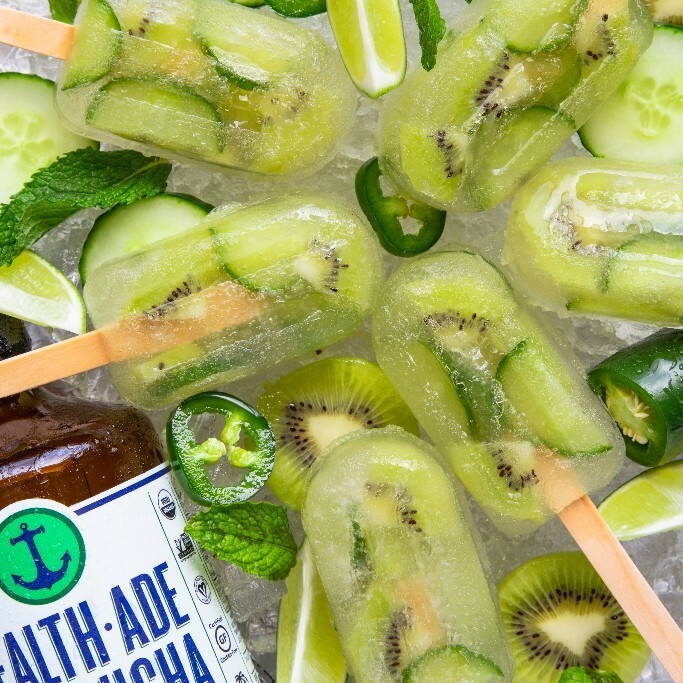 To a large ice mold, add the jalapeño, cucumber and kiwi. 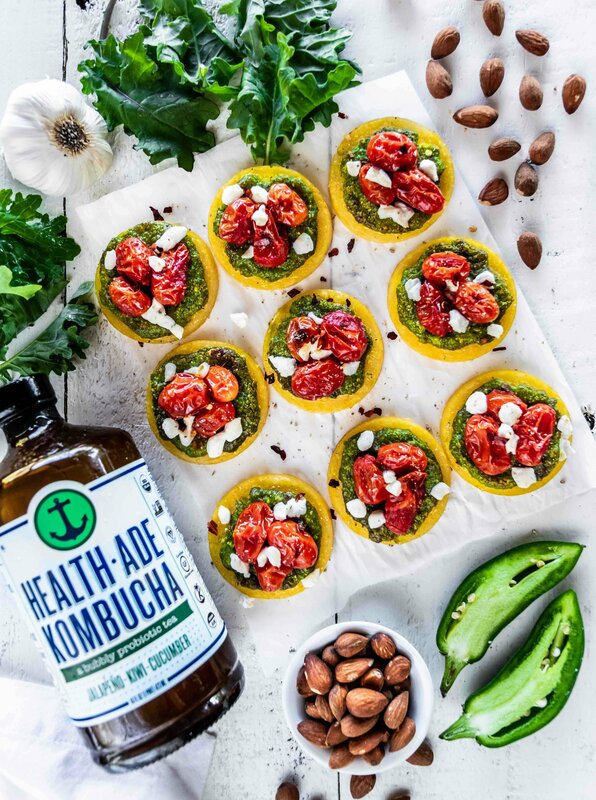 Pour the Kombucha on top, filling the mold almost to the top. Set in the freezer until solid. 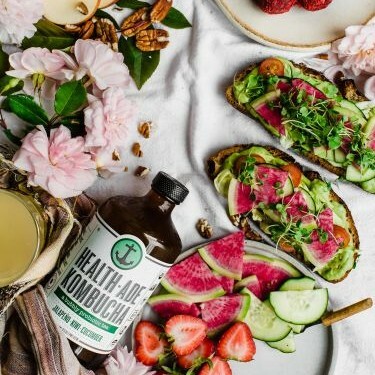 We also teamed up with several members of The Feedfeed community to bring you more great recipes made with Health-Ade Kombucha; check them out below!